At Speed Queen®, we practically invented tough. And we know exactly what it means to be commercial-grade. The washers and dryers we build for long-lasting performance in laundromats, hospitals, hotels and military bases are the same machines built to last 25 years in your home. Located in Ripon, Wisconsin, for more than a century, our machines are manufactured using metal instead of plastic. They’re built with rugged, commercial-grade construction and pushed beyond their limit in our state-of-the-art test lab, ensuring unmatched durability. 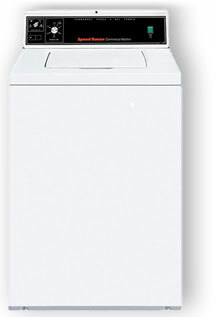 Bottom line, Speed Queen washers and dryers are built better to last longer. Laundry is all we do. And we’ve been doing it better for more than a century. We design, build and test the industry’s best laundry equipment for long-lasting performance in commercial applications. And our machines are only the beginning. From our knowledgeable sales force, to our dedicated technicians and call centre staff, and everyone in between in 5 branches around South Africa, no one is committed to clean like Speed Queen. WATCH HOW SPEED QUEEN PUTS THEIR MACHINES THROUGH RIGOROUS TESTS TO ENSURE THAT THEY WILL MEET THE HIGHEST STANDARDS OF DURABILITY. 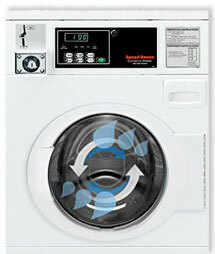 There’s never been laundry equipment that’s built tougher to last longer than Speed Queen washers and dryers. They’re built using metal where others use plastic. They’re rigorously tested to ensure reliable performance. The equipment doesn’t have a legendary reputation for nothing. Speak to somebody that has owned a Speed Queen and you will understand why they won’t consider anything else. WANT THE FACTS BEHIND THE MANTRA? Speed Queen equipment is tested to last 10,400 cycles. In the average home, that’s 25 years of reliable performance—two to three times longer than other brands. 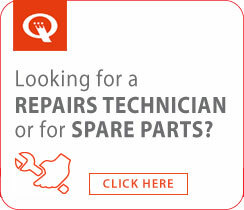 No replacing your equipment every few years, and no wasting money on costly repairs. Because the industry’s best washers and dryers also happen to be backed by the industry’s best warranty. With our roots in commercial laundry, we are the leading experts in clean. We understand and have a passion for laundry like no one else in the industry, because laundry is all we do. 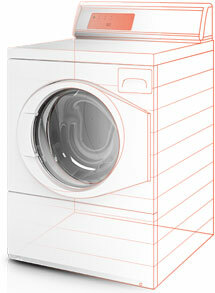 The flexible, high vane agitator in our top load washer rotates 210° at 68 strokes per minute. This moves your clothes through the water—and water through your clothes—for a more thorough wash. And with our smooth stainless steel wash tub that’s easier on linens when they brush against it, Speed Queen washers don’t wear on fabric. 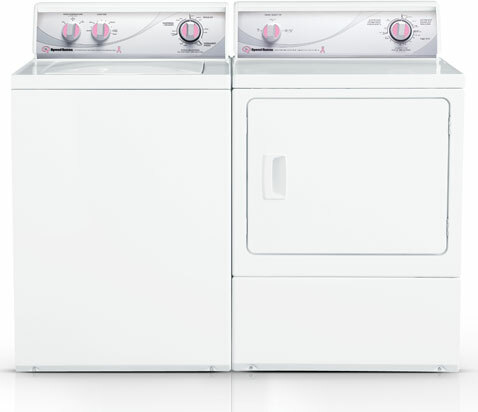 Load after load, our machines deliver an impeccable wash while also protecting your laundry. So you won’t only save money by not having to buy new machines, you’ll save money by not having to buy new clothes. Our commercial laundry customers depend on wash quality for their livelihood. That’s why they rely on us to deliver laundry equipment that makes no compromises in that area. And that’s why we develop groundbreaking innovations to maximize cleanliness, evidenced by the revolutionary Speed Queen front load washers. These state-of-the-art machines feature patented baffles that cascade water throughout the entire load and a perfected tumble algorithm that moves the drum back and forth at ideal intervals and reversal rates, ensuring that all items are washed evenly. Advancements like these give our commercial customers peace of mind that their laundry is perfectly clean. It’s not too much to ask for your washer and dryer to get your clothes and linen clean and leave them undamaged. It’s pretty much the whole point, and what you spend your hard-earned money for them to do. That’s why Speed Queen® is so committed to continually striving for the best possible clean. There are certain indelible traits that make America what it is, like strength, leadership and quality. And these characteristics do more than define America—they define American products. The first Speed Queen® laundry machine was built in Ripon, Wisconsin, in 1908, and we’ve been proudly headquartered there ever since. In fact, they have never produced home laundry equipment from anywhere else. It’s where the Midwestern work ethic of putting quality before all else developed. It’s where more than 1,600 dedicated employees work side by side to deliver on our promise of customer satisfaction without exception. And it’s where the long-lasting machines sold by independent appliance dealers across the nation are born. Built better to last longer. It’s the American way. We promise to deliver a corporate focus that puts our customers first in everything we do – world class laundry solutions aimed at uncompromising quality in finished product, and incorporating perfect balance between technologically superior product, simplicity in process and sustainability – all with the environment and minimum energy consumption in mind. Expert advice in a dignified, humble, professional and personal manner with responsibility and accountability as clearly defined priorities. 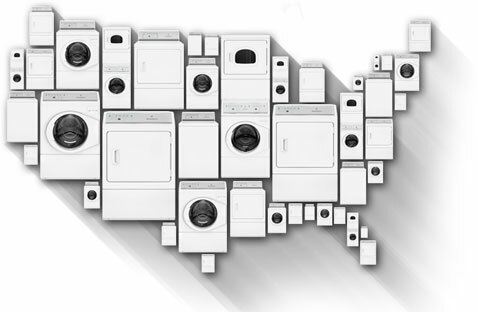 We began delivering the industry’s most trusted, highest performing washers and dryers more than a century ago. And with an unwavering commitment to quality, innovation and our customers, we’ve been doing it ever since. It’s been a fascinating journey since our humble beginnings in 1908 as Barlow and Seelig Manufacturing. And today, as in 1908, we continually strive to build the best washers and dryers backed by the industry’s finest service and support. In 2013, we expanded our production facility by more than 20,000 square feet to add even more state-of-the art capabilities. 2015 brought another 106,000 square foot expansion—the largest in our history—that opens the possibilities of what we can offer our customers even wider. And we continue to push the boundaries of laundry performance with groundbreaking innovations like Dynamic Balancing Technology and a revolutionary patent-pending baffle design that combine to deliver even cleaner clothes. As a growing company with over 100 years of commercial quality and expertise, we have always and will always bring you a line of washers and dryers that are built better to last longer. Because that’s how you make history. At Speed Queen®, we’re all about making life easier. We’re mostly known for doing that with our top-of-the-line laundry equipment. But our commitment to families extends to the community as well with our ongoing charitable efforts. In mid-September, 2014, Speed Queen partnered with The Breast Cancer Research Foundation® (BCRF) to launch a campaign that has raised more than $20,330 for breast cancer research and awareness.